The OnePlus 6 is one of the most anticipated phones of the year, and has been leaked to death at this point. So what’s one more leak going to hurt? 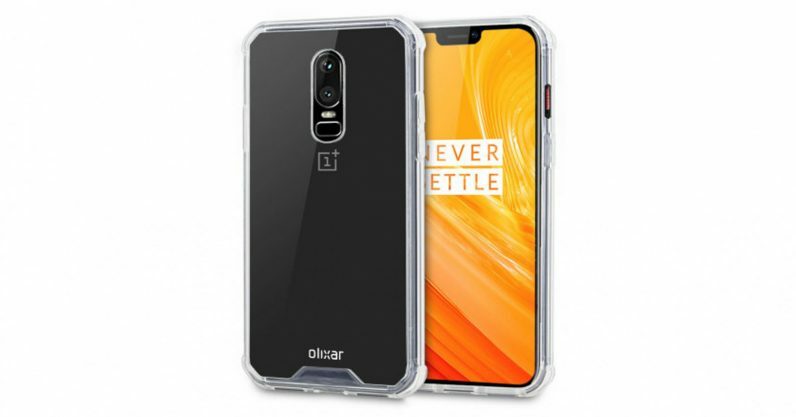 Well, it’s not quite a leak, but case-maker Olixar made its OnePlus 6 cases available to pre-order yesterday, with designs based on renders of the device. Presumably, these are based off of official CAD files, so they should at the very least provide a close approximation of what to expect. Just look at one of the renders with a transparent case, and imagine it without the case. Voilà. As expected, there’s a notch at the top of the screen, as well as really small bezels around the other sides. The camera is aligned vertically on the back of the phone, and the fingerprint sensor is a little smaller this time around. Meanwhile, OnePlus itself showed off a small change on the back of the phone; the antenna lines are less conspicuous, which is neat, I guess. It’s a good-looking device, if not particularly unique given the current onslaught of notch-tastic phones. That said there’s one glimmer of aesthetic hope – an earlier leak suggested the device may come with special texture backplates. Reliable leaker Evan Blass showed off a version of the device with what appears to be a wooden back – something we haven’t really seen since the early days of the Moto X.
Spec-wise, it seems we know most of the key hardware. It’s confirmed to sport a Snapdragon 845 and up to 8 GB of RAM and 256 GB of storage. The biggest mysteries right now are the camera and software. The former is an area OnePlus has traditionally lagged behind more expensive competitors like the Google Pixel and iPhone X, so I’m hoping the company has something interesting up its sleeve. Olixar’s cases are still up for pre-order at MobileFun, if you happen to want to buy a case that doesn’t technically exist yet. With the OnePlus 6 rumored to launch as early as May 5, we may not have to wait much longer.